A botanical extract with astringent properties, witch hazel extract has a refining and refreshing effect on the skin. 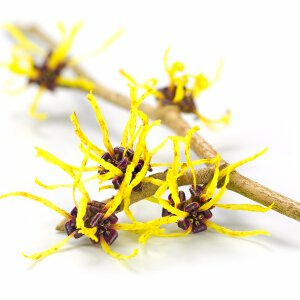 Rich in antioxidants, witch hazel extract is an essential natural first aid ingredient that helps to treat and repair damaged skin, such as acne and sunburn, and also helps to maintain the skin's natural moisture balance. It is an ideal ingredient for facial cleansing products.